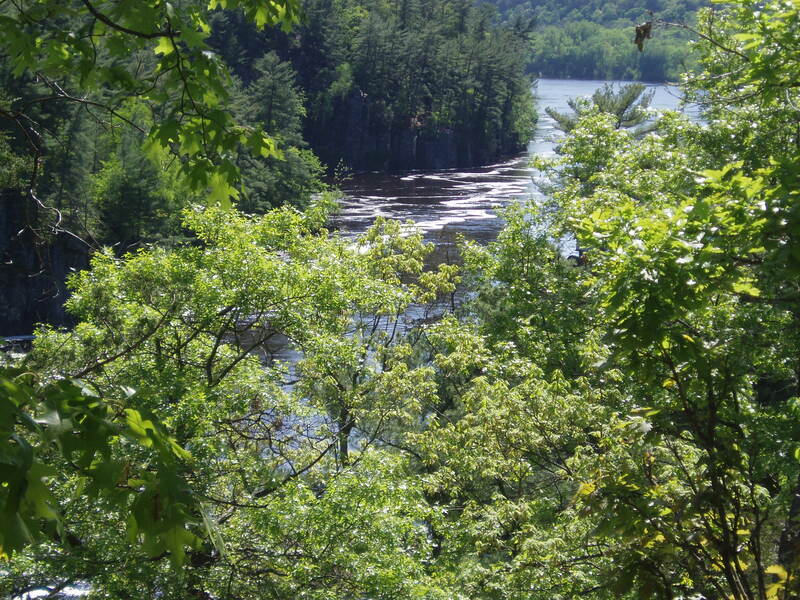 A beautiful view from the Pothole Trail. 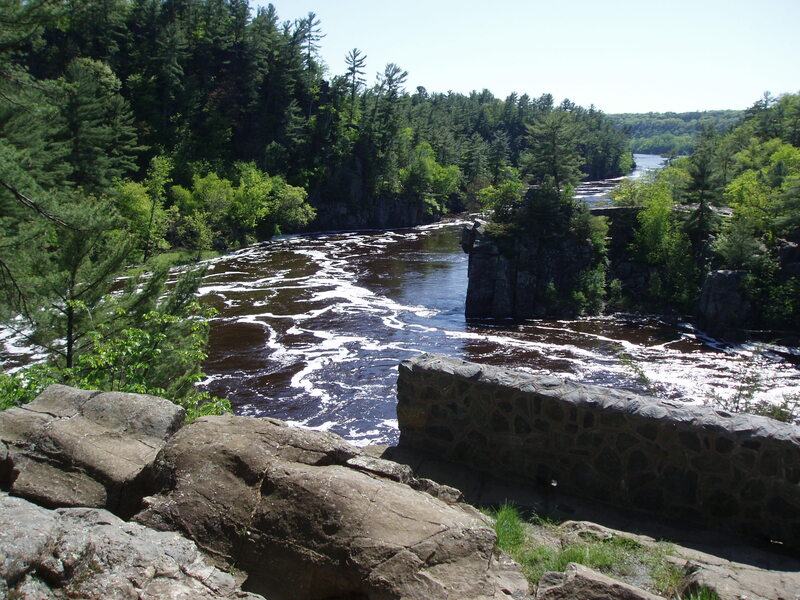 Summit Rock Trail takes visitors along part of this ridge that overlooks the St. Croix River. 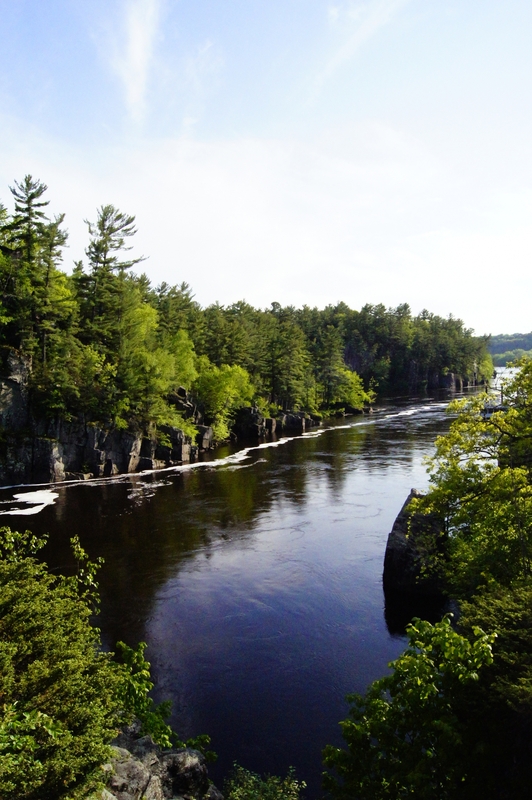 A popular spot for painters and photographers to view the St. Croix River from the Pothole Trail. 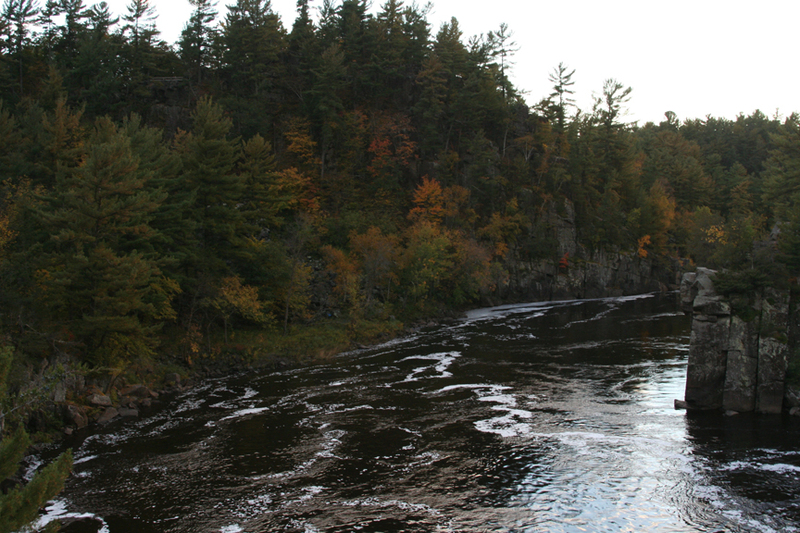 The St. Croix River takes a sharp turn around Angle Rock. 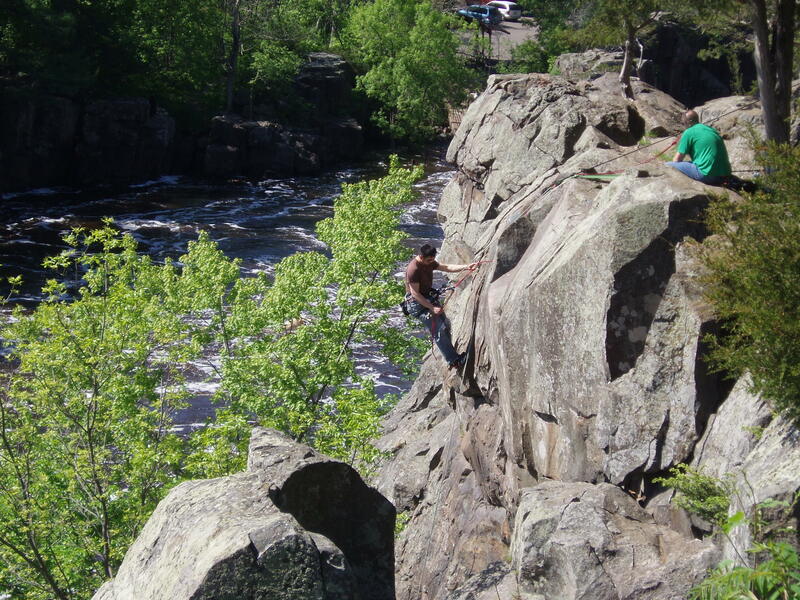 Rock climbers near Old Man of the Dalles on the Pothole Trail. 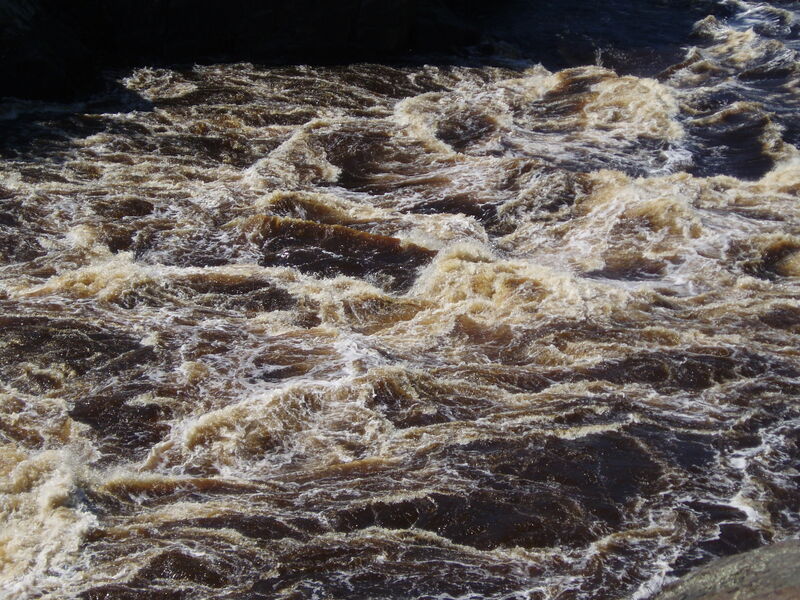 Water rushes through the Dalles of the St. Croix. 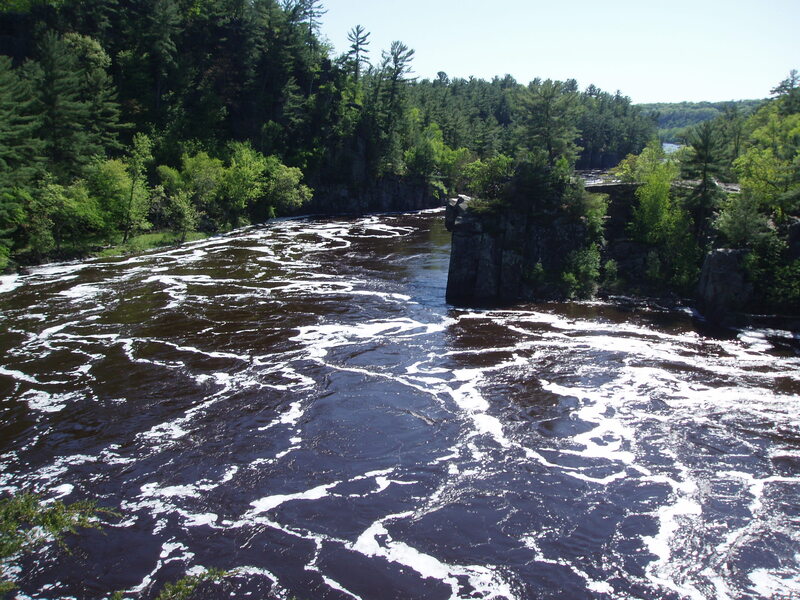 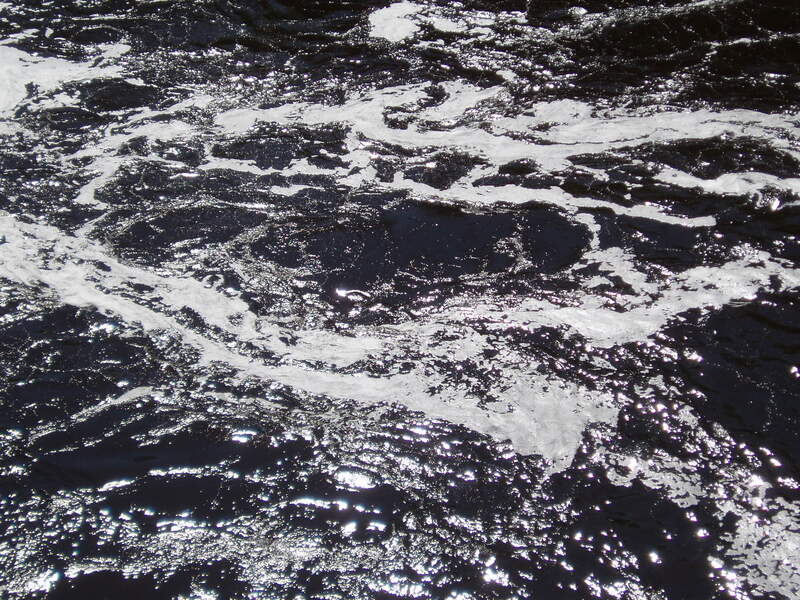 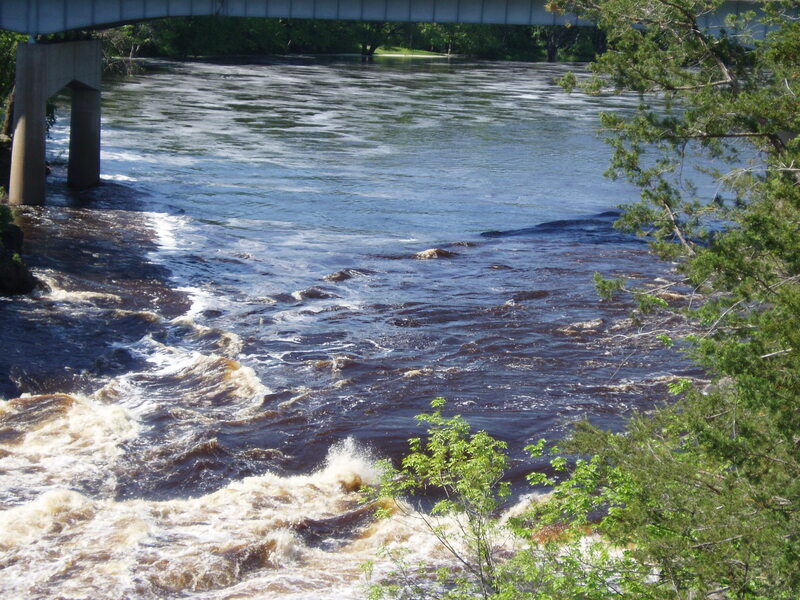 Tannins turn the water a darker color, but the St. Croix River is one of the cleanest rivers in America. 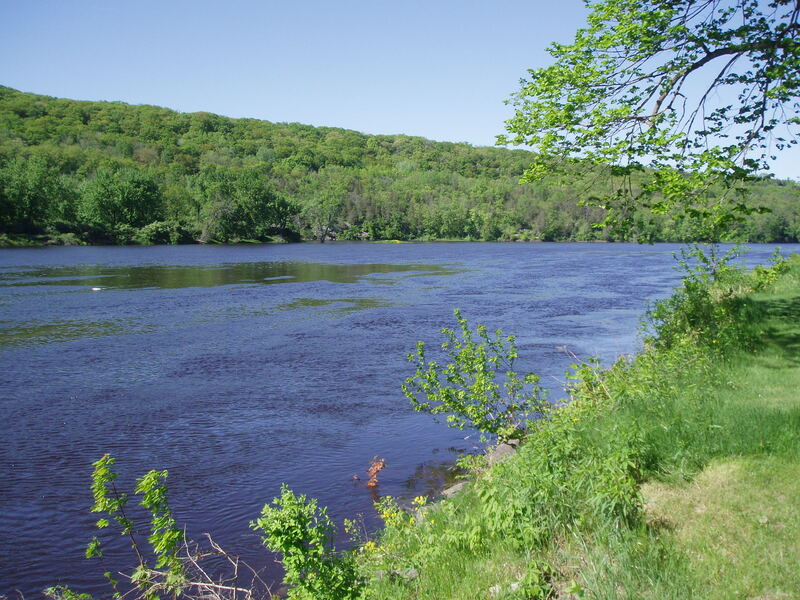 The St. Croix River was one of the first rivers to be made into a National Scenic Riverway in 1968. 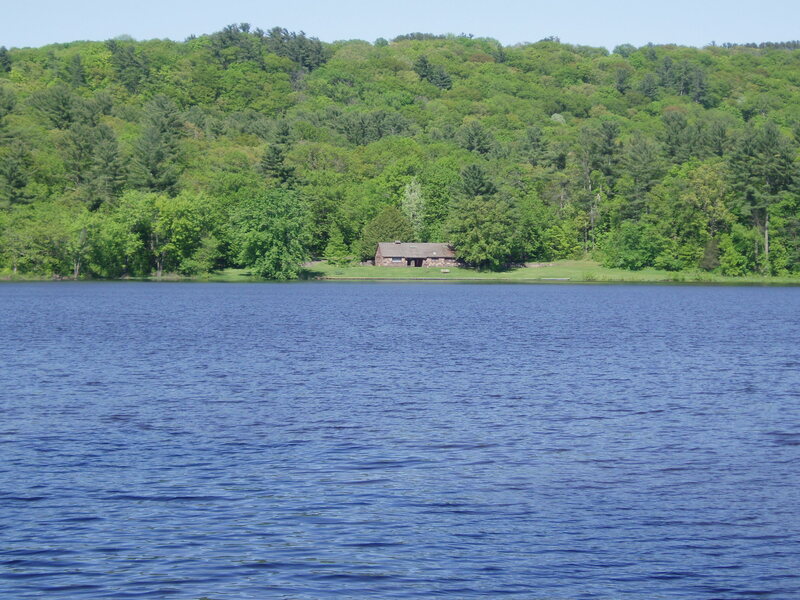 While looking across the river, a rocky Minnesota shoreline can be viewed. 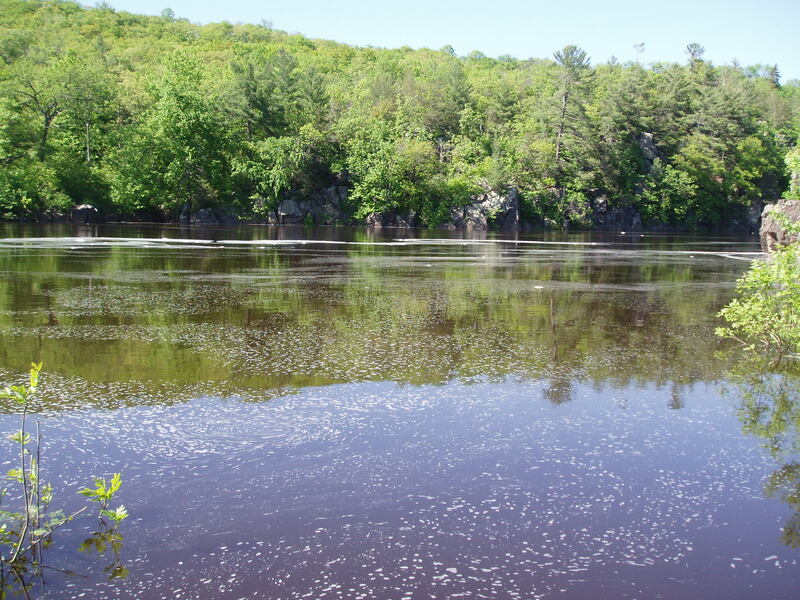 Picnic areas can be found along the river within the park–as well as a boat launch. 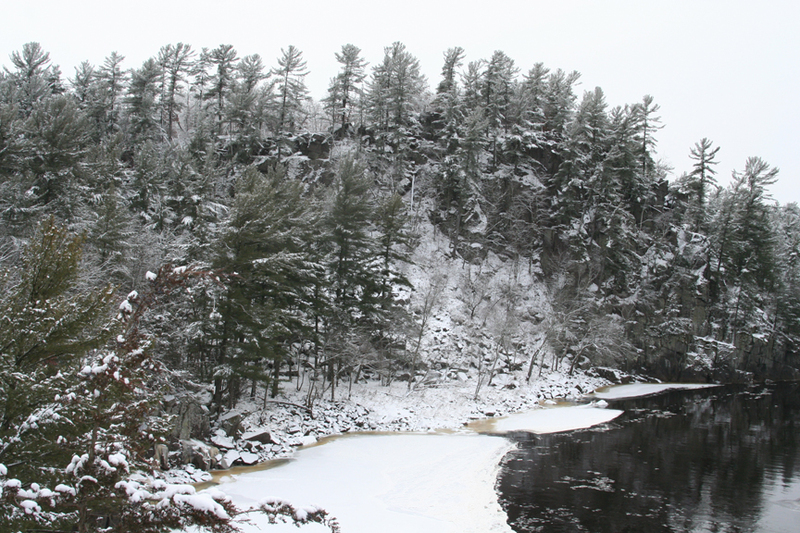 The St. Croix River–as seen from the Pothole Trail in winter.